Our most recent inspection took place in Sept 2018 and the school was judged to be outstanding. 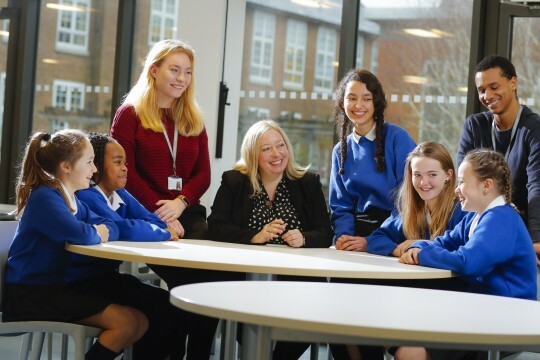 The inspection team looked at all aspects of the school including: standards of achievement, teaching and learning, the personal development and well-being of students, leadership and management and the sixth form. 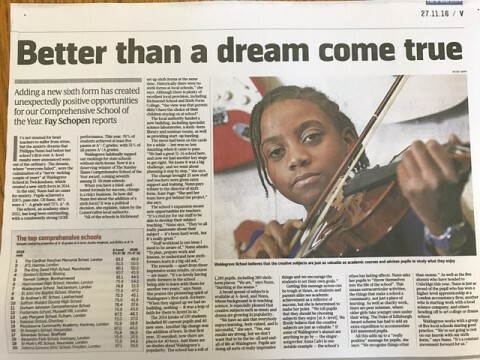 All were graded outstanding which put the school in the top 25% of schools in the country. Please use the downloads section on the right hand side of the Ofsted page to view our 2018 Ofsted report. Waldegrave School has had a specialism in Science and Mathematics since 2004. • build stronger links with the local community including primary schools and local businesses. We do not select our students on scientific aptitude or ability and we continue to offer a broad and balanced curriculum.